Has your lawn lost its mojo? 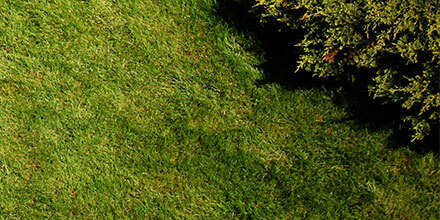 There can be many reasons why your lawn starts to look unhealthy. Sometimes it’s one thing, sometimes it’s a mixture of problems. Weeds compete with grass to grow and can invade your lawn due to a variety of reasons. Some people happily live with some in their grass such as clover, buttercups, daisIes and dandelions. You can dig out or apply weedkiller from spring to early autumn but if your lawn is more weed than grass then it’s probably a good idea to start over with fresh seed. Grass can yellow or turn brown with lack of water. Watering over dry spells will help your grass thrive and help minimise pests and weeds and the grass becoming dormant. Water deep and less often for good root strength. Firstly you should always sow grass seed that is suitable for these light lacking areas. The shade is cooler and more humid and grass that grows in the shade has different water and nutrient needs. Moss likes these conditions so it’s easy to spot the areas where moss lives like under tree branches. Moss and thatch builds up on soil that is not free draining so after tackling the moss it may be a good idea to aerate the soil to help get air in and allow more water to flow through. Growing grass under mature trees is difficult as large roots are better at getting the water and nutrients than the grass roots. This causes the grass to thin and it can be shady too which encourages moss. If you can prune the trees to allow more sunlight that can also help. 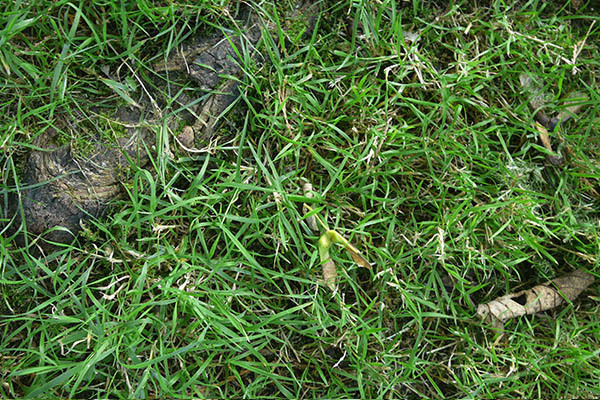 Grass can become stressed and damaged from over use. Choose a hardwearing mixture to ensure you have grass tough enough to withstand the demands. Even the hardiest grass can get damaged to the point of needing repaired, so overseeding or renovation may be required. This can actually kill your grass and is known as fertiliser burn. The best way to treat it is to apply water (in the morning) every day for a week to drain through the excess and then allow a few days for the soil to dry out before raking the dead grass and removing burn areas of soil. Replace with topsoil and reseed bare patches. Fertiliser can help boost your lawn colour, growth and resistance to disease but it's key to make sure you use the right fertiliser at the right time. And always use the right amount, remember more is not better. There are good guidelines to follow for mowing, if you leave grass to grow, then cut short it will become stressed and prone to traffic injury. Consistent cutting at the right height. Cutting short repeatedly can leave your grass pale and yellow. Grass grows at different rates at different times of the season so it is good to adjust your mowing height to suit. A good rule to remember is not to take off more than a third of the leaf blade. You may need to completely overhaul the area to bring it back to life or to help fix a constant problem like too many weeds. A good time to renovate is autumn. This seasonal makeover can make a big difference to the long term health of your lawn. It may seem like a lot of work but it’s worth it to have a great healthy lawn again. A makeover is the best choice if your lawn is around 50 – 60 per cent weeds/moss and grasses. If you have less grass and more moss, then simply kill the lawn off with weedkiller. Mow the lawn on a mower setting that you would never normally go down to, to reduce the volume of the lawn. This may take a gradual lowering of the mower blades in stages making more than one pass over the lawn. Be cruel to be kind, it will make scarifying easier. Use a metal wire rake if mechanical equipment is not available. A few passes should take out most material. Clear the debris with a rake. Do not be surprised if you get a vast quantity of dead grasses and fibre out of the lawns surface. Now the lawn is as bare as it can be. Aerate/spike with a fork or mechanical aerator to a depth of at least 4 or 5 inches (100mm - 125mm) in two directions. Fertilise the lawn to promote what grass is there, even though some are weeds. Overseed with a suitable and certified seed mixture. Top dress with soil or suitable mixture. Water and allow the grass seeds to germinate. Fertilise again in 3 months time with a fertiliser treatment.